Sanctuary-by-the-sea offer a wide range of massage therapies and holistic treatments. A thorough consultation with your therapist will ensure your treatment meets your needs, whether it is to target specific tense and fatigued muscles or simply to relax and unwind. Contact us now to book some massage therapy at Sanctuary-by-the-sea. 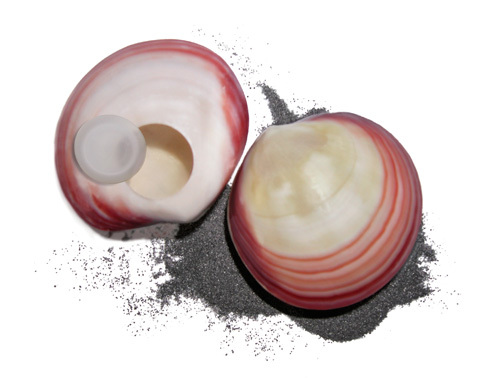 Lava Shells are a revolutionary massage treatment, using the world's first self-heating massage tool. Not only does this treatment allow our therapists to add heat to your treatment with the use of Tiger Clam Shells, its holistic benefits will aid vitality and give a boost to the system. The combination of soothing heat and gentle massage improves the functioning of the digestive system, ideal for anyone suffering from IBS and bloating. This natural colonic treatment will leave you feeling comfortable, rejuvenated and with a flatter tummy for days. A complete treatment of the back and tummy areas to improve core stability and strength. Ideal for anyone suffering with minor back ache, this treatment uses the heated Lava Shells to massage the tummy and mid to lower back areas, working as a natural colonic and relaxant to achieve total body alignment. This unique full body massage uses heated Lava Shells to deliver a seamless treatment tailored to your individual needs. The warm, smooth shells are expertly glided over the body with varying pressures, techniques and precision enabling your therapist to reach the deepest aches and pains alleviating all stress and tension. The most indulgent Lava Shell massage which includes the luxury of the Hot Lava Shell Relax Massage, with the cleansing benefits of the Lava Shell Natural Colonic Treatment. Let the heat and sensation of the Tiger Clam Shells transport you to the warm beaches of the Tropics. Reflexology works on the principle that every organ and system of the body has a corresponding point or zone in the feet. Massage of the feet and lower leg will release tension, remove energy blockages and promote healing of body and mind. Also stimulates the natural healing process. This holistic treatment has been practiced in India for over a thousand years. It releases stress that has accumulated in the tissue, muscles and joints of the head, face, neck and shoulders. To relax, unwind and ease aches and pains in tired, fatigued muscles. Includes gentle body exfoliation and the use of warm oil. A deeper massage that is concentrated on areas of tension and pain in order to reach the sub-layers of muscles. This treatment is tailored to meet individual needs. Enjoy a warming foot soak, exfoliation and an invigorating leg and foot massage to encourage circulation and reduce swelling. An indulgent massage to ease discomfort and fatigue for expectant mums-to-be. Warm oil is used to nourish the skin and improve circulation, with massage movements tailored to reduce puffiness and swelling. Suitable from 14 weeks. A highly nourishing body wrap to rapidly restore utterly supple, soft and satiny smooth skin. Following a sea salt scrub, a cocktail of moisturising and nourishing active ingredients are applied to re-establish the lipid balance and reinforce the natural barrier of the skin. Experience our Sea Salt Scrub to remove dry, dead, rough cells followed by an application of a hydrating veil to soft, silky, beautiful skin.